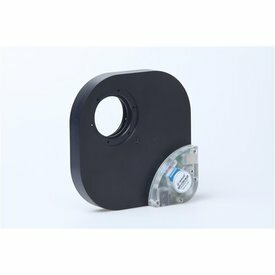 The QHY5III290 is a Full HD Back illuminated Ultra low readout noise CMOS Camera. The QHY5III290 uses SONY STARVIS Exmor R back illuminated CMOS sensor. This means you can see very dim stars at realtime video. QHY5III290 can capture mag 9 stars when connected with a 50mmF1.4 C-mount lens. 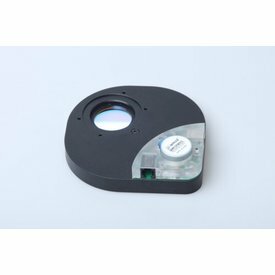 To compare with the IMX236 sensor , it has twice sensitivity for visible light and three or more times in near infrad wavelength. QHY5III290 has ultra low readout noise also. The back lluminate and low readout noise make this camera an idea video astronomy camera. 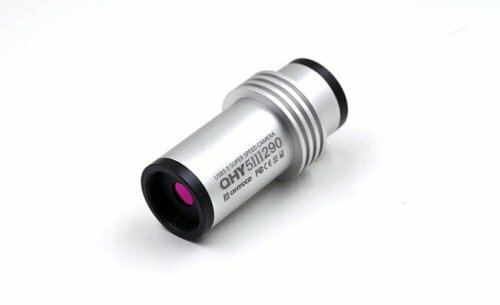 The 2.9um small pixel size is also idea for planetary imaging. QHY5III290 has USB3.0 super speed interface and 180FPS at full HD output . The camera has 10/12bit ADC and it outputs the 8bit image or 12bit image. 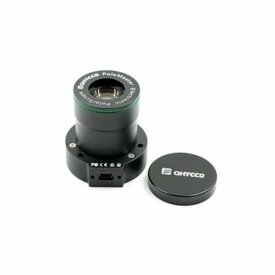 The unique QHYCCD design keeps the 1.25inch eyepiece design and a more efficient heat transfer to the outer case enabling lower noise especially in high ambient temperatures. In addition, the QHY5III178 uses the LEMO style connector for the guide port. These connectors are known for being both rugged and reliable connectors. 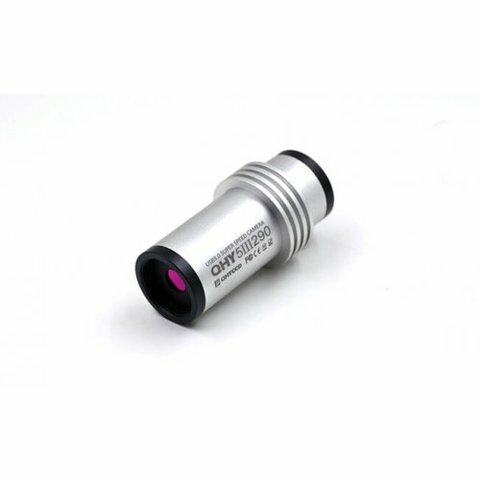 Unique to QHY5III cameras is the built in anti-amp glow circuity. The new Sony CMOS chips develop amp glow with longer duration images. Dr Qiu has taken the time to eliminate or reduce the problem through advanced design of the camera.